This one simple video will literally transform your golf swing forever. If you've struggled with casting or chicken winging, follow the golf swing drills here and you will completely rid yourself of these nasty swing flaws. This will help you reshape your golf swing around leverage rather than stressing your body so much by having too much rotation. As you'll see in the video, without trying at all, I develop massive golf swing lag when doing the left arm part of the drill. Just by simply removing the right arm completely and softening the wrist and focusing on moving my body first, you can develop Sergio Garcia-esque lag! 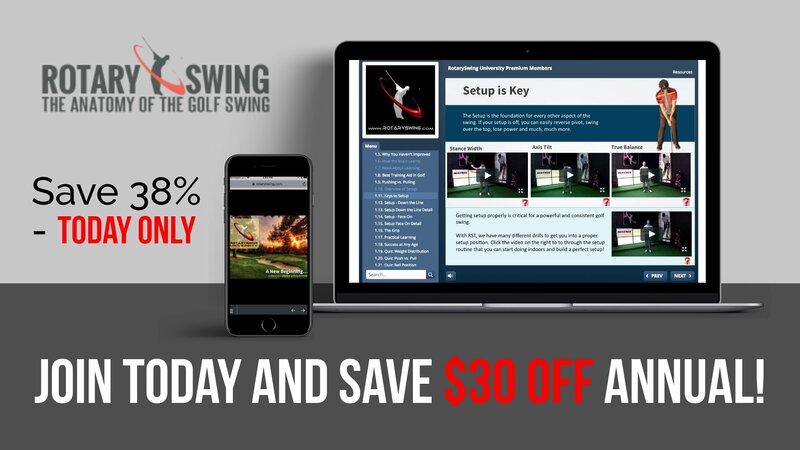 Get Your Free Membership to Finish Watching "Reshaping Your Golf Swing for Lag" Right Now!